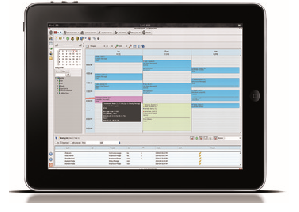 To have the right software system in your spa that meet your requirements is one of the most important features, for a smooth running spa operation. Part 1 of this post did tell you what to think about when choosing system and some important tips. Part 2 will let you know what is out on the market today. So, what can we expect from a spa software system today? A lot! Reach your system from anywhere on computers/smartphones, and make even your staff able to book treatments wherever they are (and to get updated on their schedule.) Access your waiting list and it will let you know when appointments get available, register your turn aways easy, make group bookings in a click and connect the recommendations of the reservation to the guest history. You should expect the system to be able to send out a booking confirmation, an appointment reminder and “thank you for your visit” message in preferred contact way (email or text message) in preferred language (setups can be made.) The system should also be able to handle pricing and yield management. Online booking has become crucial for spas, just as all other businesses. Make sure to have an easy, functional booking procedure where the customer (if preferred) can log in and see their previous history and therapists. Also make sure you can control the web booking with choosing what times are available to book, what preferences the guest can make etc. If there are no available times when the guest search for a day and timeframe, they should get an alternative of treatment for that given time so you do not lose the customer. Upsell with add ons, extra product alternatives or additional treatment match afterwards is also possible to work with online. You should be able to setup an online shop with retail and gift certificates if wanted. Today even Facebook booking is available from some vendors! Packages are fantastic – if they work. Expect them to be easy to setup, book, split, change and… PAY! Need a tool to help you schedule the right amount of therapist the right time, the right day? A dashboard can help you and will let you setup if you want to compare to previous month, last summer months or the last three years in total. You can also include previous statistics on turn aways, if wanted. You should be able to find a way in the system to easy work with goals, preferably on the schedule book for each day/month etc. Maybe therapist occupancy % or number of treatments booked/day, either way you would like your staff to see this information clearly attached by the appointments or schedule. You should also be able to use staff profiles with annual goals, follow up plans and commission reports! Make sure that you know your guest; for every time she visit you know something more about her that you can use to enhance her next visit. Expect your system to save all purchase history for activities (with resources), retail, correspondence and marketing offers sent. There should be a system for notes written in the right place that pops up at the right time. Preferably there is a separate tool for health forms which the guest can fill in electronically and be saved in guest history. You can expect a system to manage following for you: Member registration, statistics, billing periods, member discounts automatically setup, payment account setup (with electronically signing on invoices), print contracts, lockers/belongings attached, included treatments/activities, freeze periods/bonus periods that updates expiry, member applications for smartphones. POS should be easy to use, easy to make changes and should be integrated with your inventory/retail and guest history. Two smaller but very important tips: make sure you are able to move paid bookings and split tip between therapists! If you are not satisfied with the standard reports, the system should be able to customize and deliver the report you need to simplify and save time. From some systems it is even possible to get statistics from the interface with the hotel system into the same report as the spa statistics, to show capture ratio for example. If your system includes a detailed guest profile and history sector (it should) then you have lots of information that could easily become tools for marketing and contacting the right guests. Let’s say you wish to boost sales for facial products during summer and want to make a special offer for previous guests. You can then easy pick from the marketing tool: External guests that visited us last summer, bought a facial and purchased at least one facial product. Just by a click you can create your offer/email with a “book now” button (or insert the marketing material) and send by email or textmessage. Simple? Yes! Does not stop there, you will also be able to see who opened the offer and who booked it. This tool could be great to use for segment the members club when you want to reach the right members, or just for your monthly newsletter etc. This tool should also help you communicate on social media, apps and so on. Get your spa software system interfaced with not only your hotel system, but your finical/accounting system, payment devices, online reservations, Ipads for health assessments or spa menus, member apps for smartphones, check-in kiosks, hotel TV’s for marketing… Do not forget that there are also options for multi properties with centralized management and guest profiles. Ongoing updates, free of charge is something you should expect. You should be able to reach the support team 24/7 and the support should be easy to understand. Preferably you should be able to watch online videos with instructions for common questions/issues. Cannot say this to many times: learn to love your spa software, know it in and out and you will save bunch of time and use a major resource you have invested in. No exceptions! Stay tuned for part 3, which will give you more input in how to compare the different companies you are choosing from!